Blackwater Community School-Akimel O'Otham Pee Posh Charter School Inc.
"We believe in teaching the Whole Child"
Blackwater Community School and Akimel O'Otham PeePosh Charter School is operated under the effective supervision of five Board of Trustees representing the respective communities surrounding the school District. Board of Trustees are elected members from the local community served by our school. On behalf of our community and the parents, we would like to Welcome each one of you. It is our pleasure to oversee a school which is student-focused with a dedicated and committed employees. We try our very best to provide a well-balanced curricula and other activities for the development of a "all-rounded" and "whole-child". We are proud of the academic progress our children are making in core areas of the curriculum. We as the governing-body of this educational institution which is funded partly by the Bureau of Indian Education (BIE) and Arizona State under the PeePosh Charter status, make every effort to provide all necessary tools to our staff to ensure a continues and significant growth in all areas of the school curricula. We understand that the academic growth is important for the success of all children, but we equally believe in the preservation and promotion of our language and culture of our community (Gila River Indian Community), our rich heritage from our gloius past that we want to pass on to the future and young generations. It is no surprise therefore , that our Tribal Council earmarks a certain percentage of the tribal allocation for this very purpose. Secondly, a certain percentage of our annual tribal allocation also goes towards teaching our children the tranditional farming and agriculture techniques with modern tools which serves dual purpose of teaching the farming skills as well as instilling a sense of entrepreneurship among the youth of this community. The charter school is located on federal trust land operated under the Bureau of Indian Affairs, Bureau of Indian Education. The school was established in 1939 when Congress approved the establishment of the Gila River Indian Reservation. The school was chartered as a K-2 day school and typically served less than 100 students from District 1 (Blackwater) and District 2 (Sacaton Flats). However, because of the growing population and the community’s support of the school, there was a desire to expand grades on the campus. Parents also wanted to keep their children close to home instead of attending feeder schools off the reservation. Therefore, the Board and Administration requested that the school be allowed to expand grades. This was denied because of a Congressional Moratorium to limit BIE schools from expanding. Not to be deterred, the Board and Administration requested that the BIE allow the school to apply for a charter school for grades 3 – 5. This was granted and in 2000 the State Board of Charters approved the application for this charter. This is monumental because there had not been this type of shared governance on federal trust land. In addition, the Gila River Indian Community supported this expansion. School climate which fosters individual responsibility for behavior, acceptance of others and acceptable child/adult interactions. Cultural experiences which enhance positive attitudes toward self and others and creates an awareness of cultural heritage and language. Opportunities for community support through school sponsored activities. In conclusion, the Board of Trustes, teachers and support staff actively support and implement the schools vision "Quality Education Begins Here". Mr. Pino has been serving on the Board well over a decade and brings lot of wisdom and experience to the table. Mr. Pino represents GRIC District One (Blackwater District). 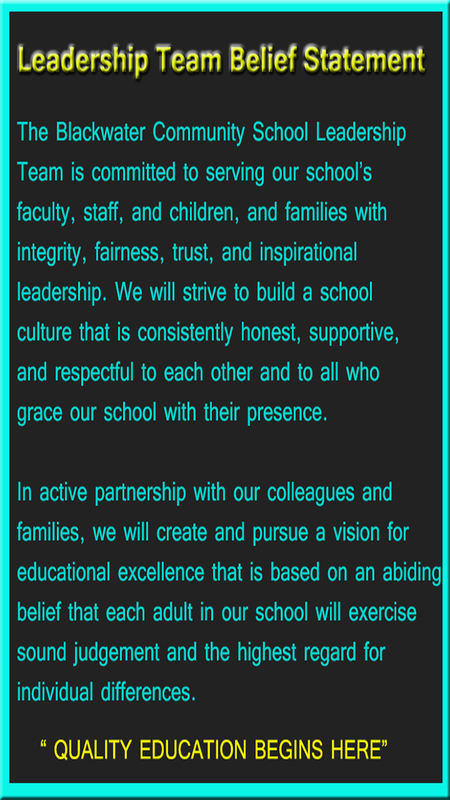 It is my pleasure to oversee a school which is student-focused with a dedicated and committed employees. We try our very best to provide a well-balanced curricula and other activities for the development of a "all-rounded" anda "whole-child". Mr. Pino being retired from the Law Enforcement department, brings a different perspective to the discussions. 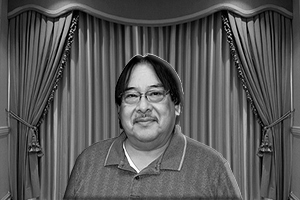 Mr. Pino is fluent speaker of his native language and is well versed in the Gila River culture and traditions. Mr. Pino's few favorites are long walks, cooking and helping friends. (Jan. 1st 2017 thru Dec. 31st, 2019) D1. 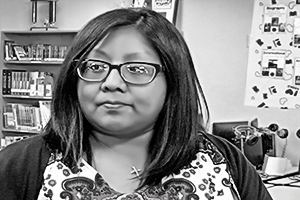 Ms. Deanna Jackson hails from District One of the Gila River indian Community. 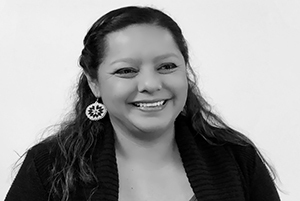 Deanna has been always very active in her Native Community and currently serves on committees within District One . Deanna actually studied at this school during her elementary schooling days. Entire School community welcomes Ms. Jackson to our Board of Trustees Team. Ms. D Jackson was appointed by District-1 to fill the vacancy left by late Suzzane Acuna on December 31st, 2017. 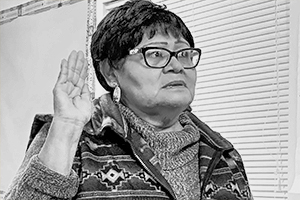 Since school received no formal nominations for new Board member Elections, District-1 apppointed Ms. Deanna Jackson to a two-year term ending on December 31st, 2019.We all wish her the best while she steps into a totally different role at Blackwater Community/Akimel O'Otham Pee Posh Charter School. (Term period: February 6th, 2017 thru December 31st, 2019) D1. Vacancy-School is looking for a Board Clerk. This position is open. Please call the School at (520)215-5859 and get more information. Our School provides many opportunities to engage parents and guardians in the education of our children. 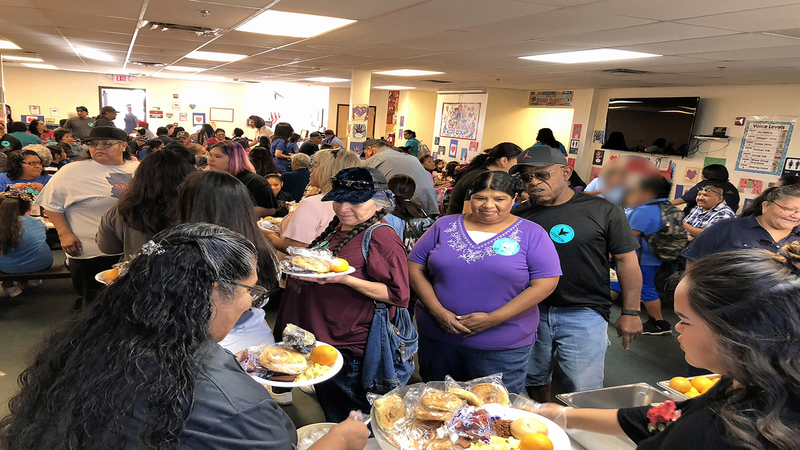 A special breakfast was arranged on "Gratitude for Grand-Parents" on September 5th, 2018. A total of 166 grand-parents were in attendance at this event. Due to the small size of our Cafeteria, School made special arrangements by setting up picnic tables outside the cafeteria. We appreciate this over-whelming support to our school by the grand-parents. Administration shared school related information as well as the new school construction project by the BIE. Thanks to our FIAT Committee and all staff who worked very hard to make this event a successful event. (watch full slideshow here). ©2018 BLACKWATER COMMUNITY SCHOOL/AKIMEL O'OTHAM PEE POSH CHARTER SCHOOL INC.